The bonded aluminized steel, heavy-gauge construction means this roaster and carbon steel rack offers rust-proof performance, maximum durability and even heat distribution. 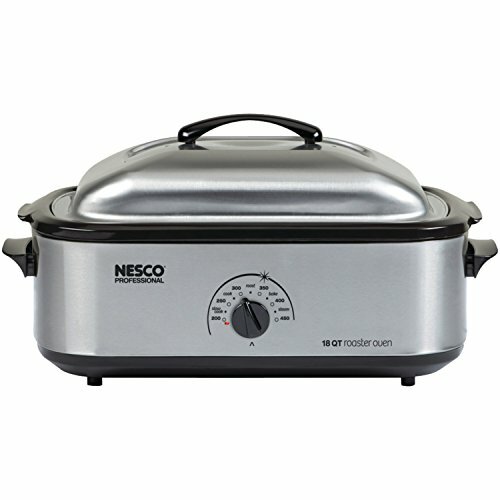 Great for baking, roasting and more. The double-layer ceramic coating provides easy cleanup and excellent food release. 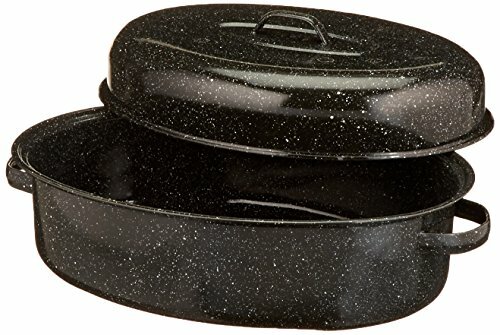 Pans come with a unique two tone finish. This versatile pan is perfect for turkey, prime rib, leg of lamb and more. The roaster and rack are oven safe to 450°F. Hand wash only.